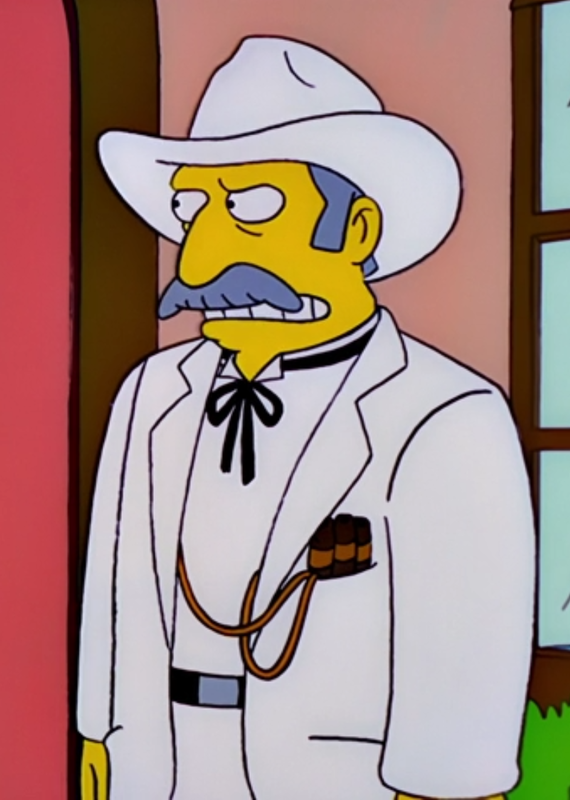 The Southern Colonel is a man who accepted Homer's challenge to a duel. After watching The Poke of Zorro, when things weren't going his way Homer began slapping people with a dueling glove and then challenging them to a duel. With everyone else Homer confronted, this resulted in the other person backing down and Homer getting what he wanted. Homer was utterly taken aback, therefore, when he slapped the Colonel at the Kwik-E-Mart and the Colonel accepted the challenge. As the challenged party, the Colonel claimed the right to choose the method of the duel, and told Homer it would be pistols at sunrise. 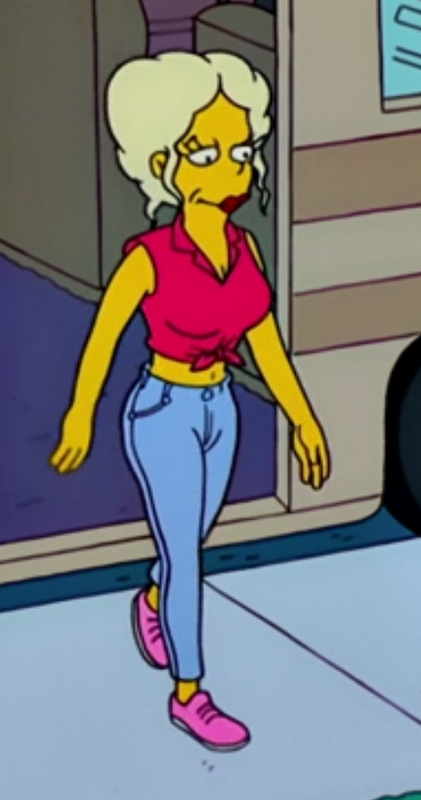 To satisfy the challenge, the Colonel (along with his wife) drove to the Simpsons home, politely knocked on the door, and asked Homer to come out. When Homer refused, the Colonel and his wife set up camp in their RV to wait for him. Now panicked, Homer was desperate for a way to get out of the house, and finally got the family to smuggle him out under the guise of taking an old Christmas tree to the dump (while Homer clung to the far side of the tree, out of the Colonel's view). It was a narrow escape, as the Colonel first offered to help carry the tree and then to shoot it into smaller pieces, but they declined the Colonel's offers and succeeded in loading the tree (with Homer) into the family station wagon. Then they drove out of town to the Simpson family farm, where they hid out for a time. When the family returned to Springfield, they found the Colonel and his wife still camped out in front of their home. The Colonel now insisted on going through with the duel. Armed with pistols, Homer and the Colonel took up positions on the front lawn. While Homer trembled and shivered, the Colonel began counting to ten, when they would shoot. However, the Colonel was distracted by the scent of Marge's freshly baked mincemeat pie. Marge offered the Colonel a slice, and he accepted, which prompted Homer to complain that they were supposed to be dueling. Reminded of his lapse in manners, the Colonel turned around and shot Homer in the arm. Homer said he was okay because the bone had stopped the bullet, and insisted on having a slice of pie before going to the hospital to have his wound tended to. 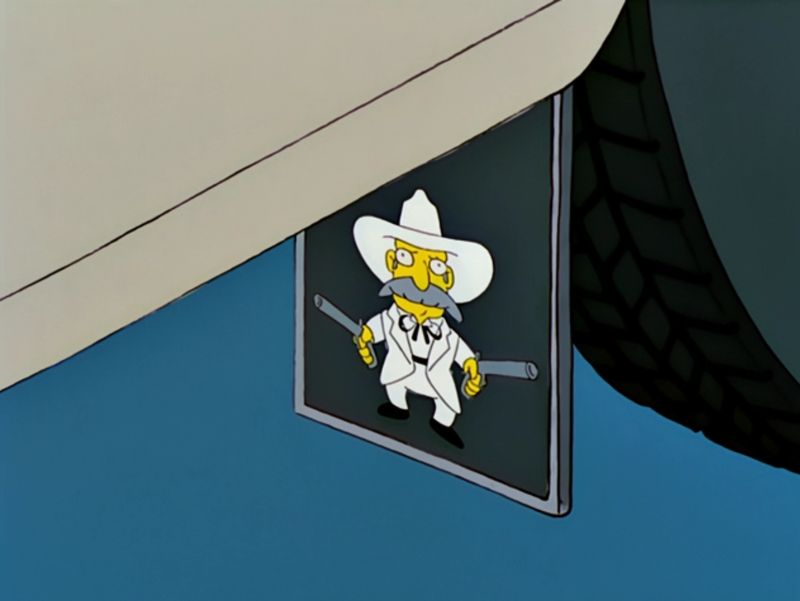 The Colonel's speech mannerisms are just like Foghorn Leghorn, while his caricature on the mud flaps of his RV bears a strong resemblance to Yosemite Sam. Modified on January 8, 2015, at 14:27.